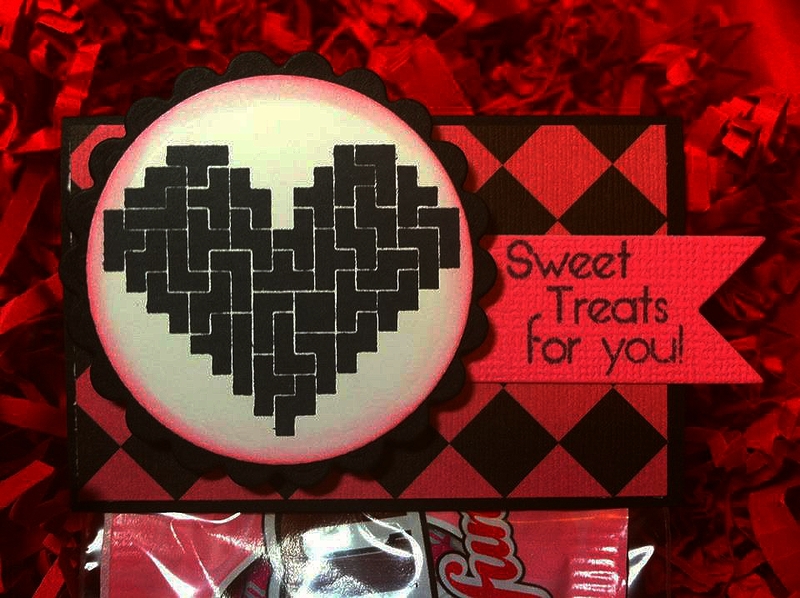 Paper Crafts by Candace: Happy Valentine's Day! 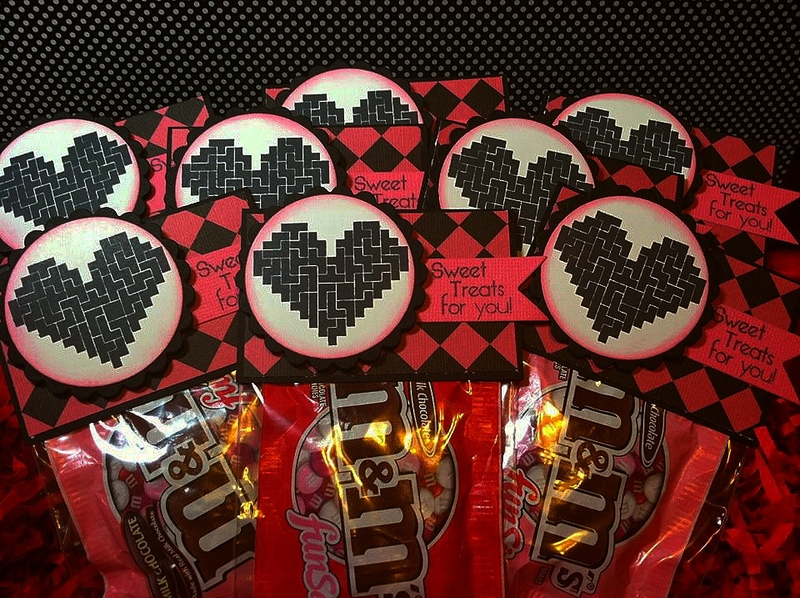 Today I wanted to share with you some quick Valentine's Day treats I made for my co-workers. These were sooooo easy to make! I used Jaded Blossom "Nerd" stamp set for the heart and "Sweet Celebration" for sweet treats for you. The M&M's are put in 2x3 inch bags. The topper is cardstock cut at 3.25 x 4 and then folded in half to 3.25 x 2. I cut the circle and scallop circle out using my spellbinders. Thanks for checking out my blog! Happy Valentine's Day! 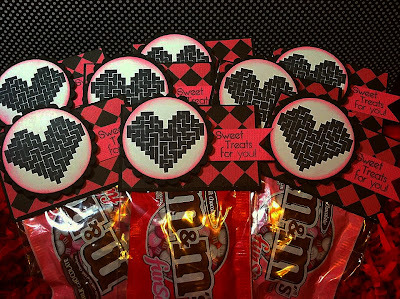 Love Love Love it :) Happy Valentine's Day!